Should you be thinking of doing the unthinkable like selling or trading in your Nintendo Switch (Shame on you), you will need to back-up all your hard earned save data first. If you are changing to a brand new Switch, perhaps the Super Smash Bros Ultimate or Pokémon Let’s Go Pikachu! / Eevee! themed console (I take my remark back), you will be able to move most of your data over to the new console. Games that don’t support Cloud Saves will not be able to save online. 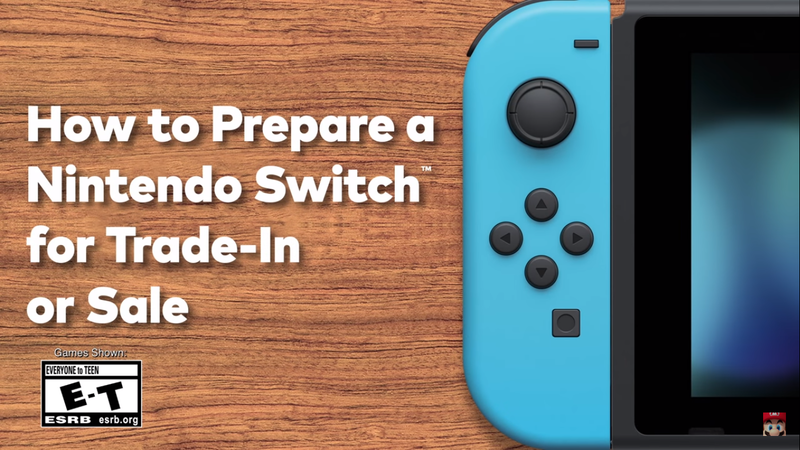 Nintendo have uploaded a video onto their YouTube channel on how to prepare your Nintendo Switch for Trade-in or sale. The video covers both transferring to another Switch Directly or by recovering your data from the cloud by connecting your Nintendo Account up to the new console.